This image was created as a record of the Elmgreen and Dragset "pop architectural land art project" that they created in Marfa, Texas in 2005. 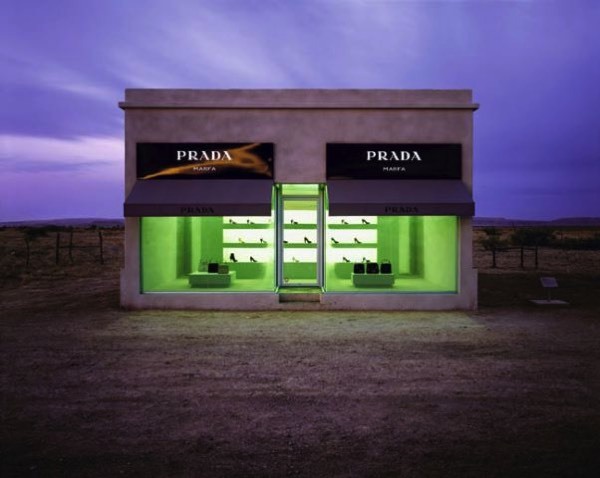 The artists' intentions were to leave this recreation of a Prada store permanently sealed to weather eternally in the empty desert. Burk Uzzle's ultra-saturated image captures the project at it's creation when the vacuum inside and out is serenely at peace.